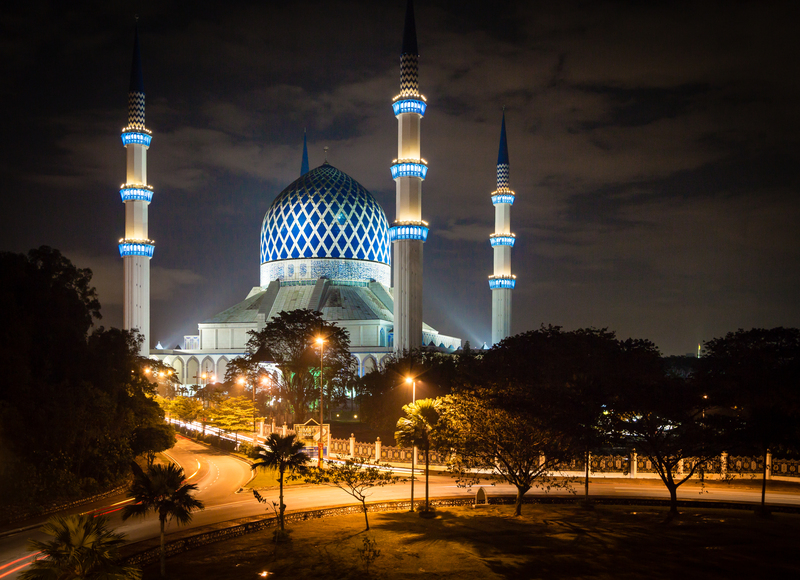 Sultan Salahuddin Abdul Aziz Shah Mosque, also known as the “Blue Mosque” is in the capital city, Shah Alam, of Selangor state in Malaysia. 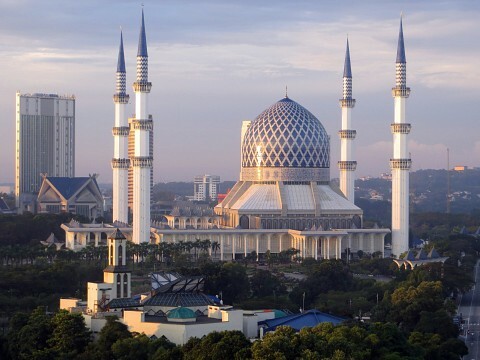 It is the largest mosque in Malaysia and the second-largest in the Southeast after the Istiqlal Mosque in Indonesia, it is just 12 miles away from Kuala Lumpur, one of the most exciting cities in the world. Its most striking feature is its dome which is deemed as the largest religious dome in the world. 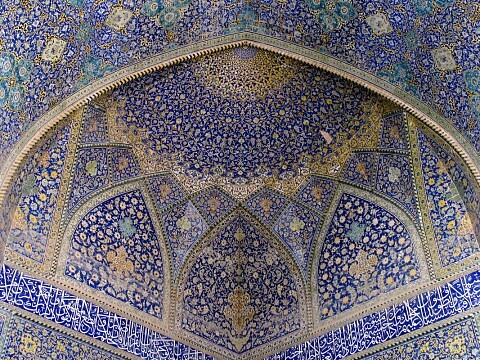 Between four towering minarets, the dome is silver and blue in color from which the mosque earned its sobriquet of the ‘Blue Mosque’. Sultan Salahuddin Abdul Aziz announced that Shah Alam was to be the new capital of the State of Selangor in 1974. He commissioned the building of the mosque and in 1982, its construction began. The building of the mosque was completed in 1988. The site for the mosque was personally chosen by the Sultan, and he took a great interest in the details of planning and construction of the mosque. He donated allowance that was due to him for four months towards funding the construction of the mosque. He also gifted four chandeliers made of crystal glass and an antique clock. The dome of the mosque, painted silver and blue, is easily the most striking feature of the building. The dome is gigantic and is 50 feet in diameter. The tip of the dome is at a height of 350 feet above ground level. It is by far the biggest religious dome in the world. It is constructed of aluminum and is clad with vitreous enamel steel panels engraved with quotations from the Qur’an. The four minarets, each reaching a height of 467 feet, once had the distinction of being the tallest minarets in the world until 1993, when the Hassan II Mosque was inaugurated in Morocco with a 210-meter high minaret. They however, hold the Guinness World Record for being the world’s tallest group of minarets. The mosque can accommodate a congregation of 24,000 at a time. 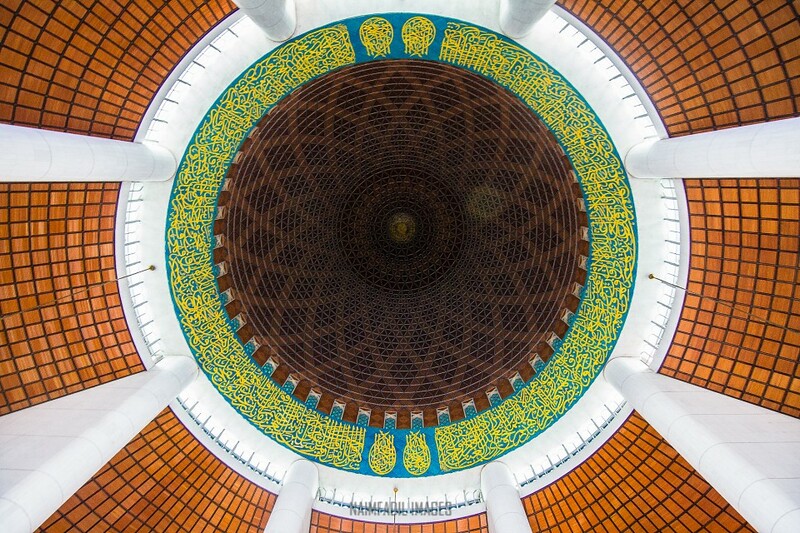 The design of the mosque is a blend of Malay and Middle Eastern architectural styles. The calligraphy within the mosque was done by the famed Egyptian calligrapher, Sheikh Abdel Moneim Mohamed Ali El Sharkawi. The wooden minbar (pulpit) was sculpted by craftsmen from Kalimantan . 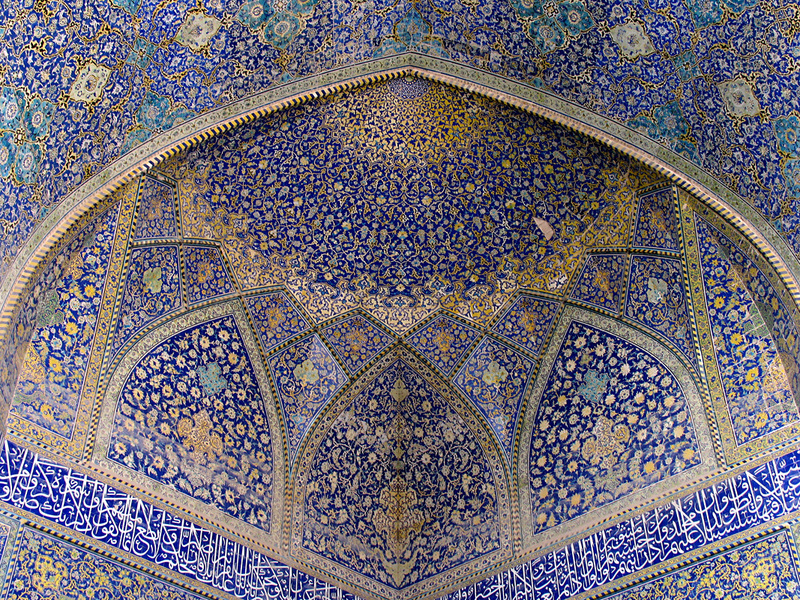 Antique marble tiles were imported from Turkey to build the mihrab (a niche in the wall indicating the direction of Mecca). The prayer hall has two floors. The upper floor is mostly made up of galleries, and the entire prayer hall is fully carpeted and air-conditioned. The ceiling has panels made from local timber of red balau and ramin with crisscrossing patterns. 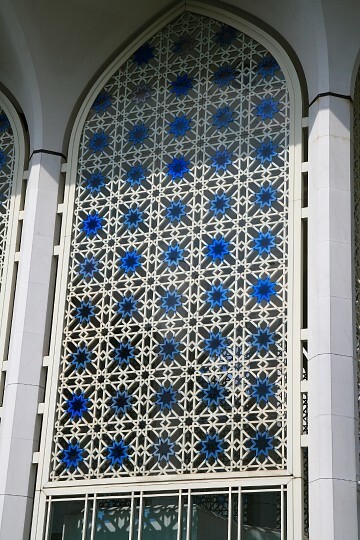 The windows are made from intricately designed aluminum grills, and are fitted with stained glass with a bluish tinge, to mellow the light entering the mosque. The galleries on the second floor of the prayer hall are reserved for women. The mosque complex has a reception, an administrative office, a library, conference rooms, and several lecture rooms. It serves as a religious school as well as a community center. 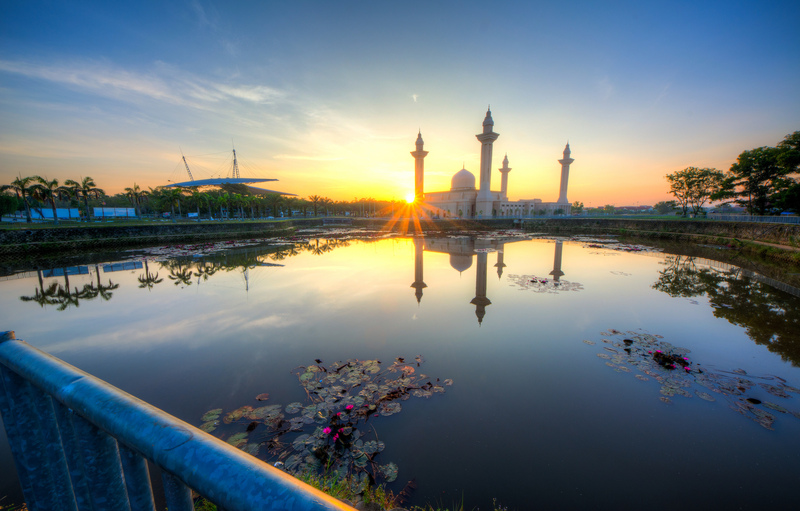 Shah Alam, where the Sultan Salahuddin Abdul Aziz Shah Mosque is located, is known as “the city of roundabouts” because it has 18 of them. 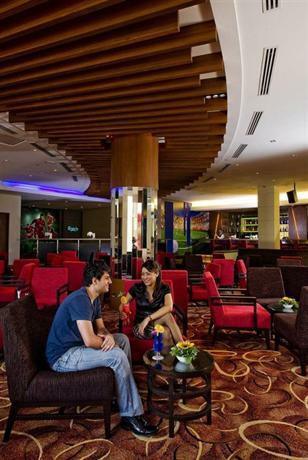 With Shah Alam being a bustling city, it is less than an hour’s drive from Kuala Lumpur. Pedestrians have to be careful however, when crossing roads. Trains run half hourly between Kuala Lumpur and the Shah Alam station. A taxi from there to the mosque will cost RM 20 ($6.40) or $ 7.00 USD . Buses are also available from the station to the mosque. Several buses commute between Kuala Lumpur and Shah Alam. The Sultan Salahuddin Abdul Aziz Shah Mosque is open to the public throughout the day. Women are required to cover their heads, and scarves are provided at the entrance. A tourist will usually find volunteers who will guide and inform them about the campus. 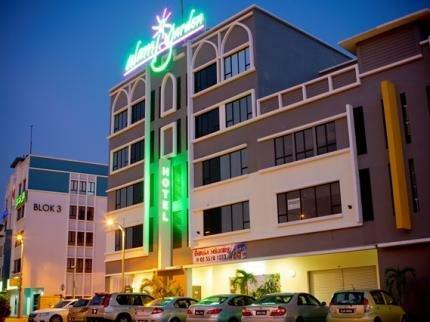 Hotels are abound in Shah Alam. 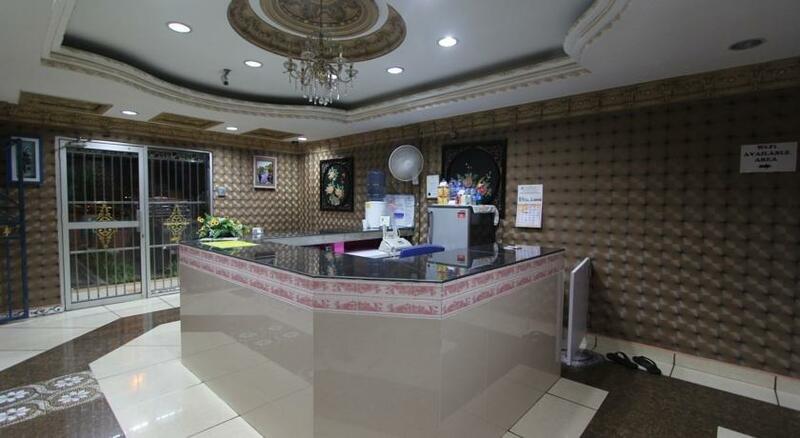 Finding accommodation, from the luxurious to the budget hotels, should not be a problem as all of them are within a short distance of the mosque. On public holidays and festival days however, booking accommodation in advance is the best thing to do. Sultan Salahuddin Abdul Aziz Shah Mosque overlooks the Garden of Islamic Arts, a sprawling 14 hectare complex that houses nine galleries. They exhibit an impressive array of sculptures, architecture, paintings, and calligraphy. 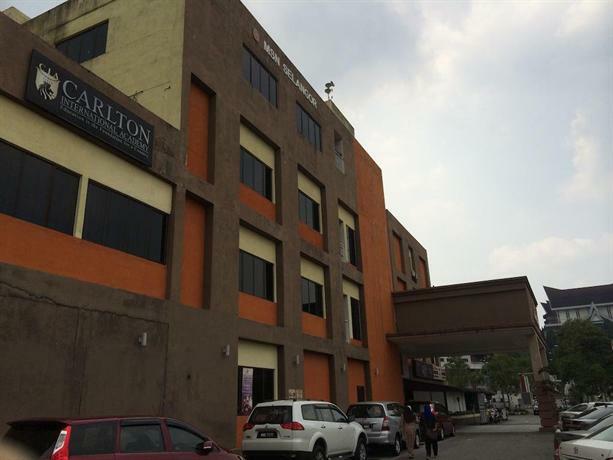 Perpustakaan Tun Uda is the largest library in the state and is three storeys high. 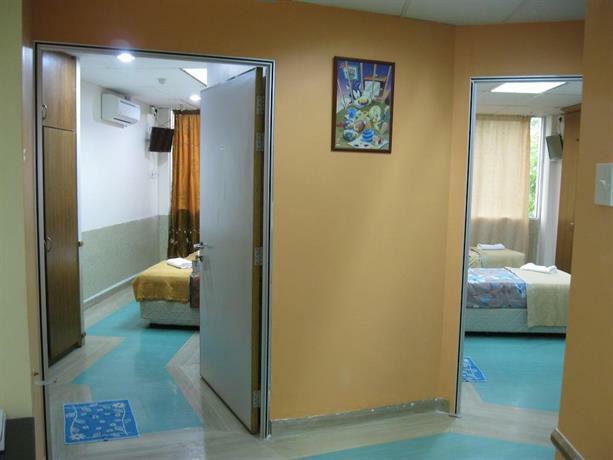 Only students are allowed access on the lowest floor, while the top floor is for children. 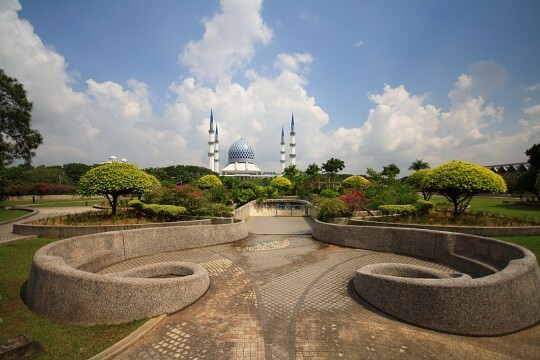 Shah Alam Agricultural Park is one of the largest such parks in the world. Built around an artificial lake, it has a well-maintained rainforest, and has jogging and biking paths as well as playgrounds. Bicycles are available for rent on a per-hour basis and are the preferred mode of transport around the park for most visitors. Visitors can also take riding lessons or rent a kayak. Shah Alam is also a good shopping center for those who want to bring some souvenirs home. There are many shopping malls with stalls in them selling locally made handicrafts and other trinkets.